This past few months at The Garden has seen some big changes. New people of all ages have joined the community, and others have left to move on to new opportunities and challenges. In July we said a sad ‘goodbye and come back soon’ to our learning mentors Amy and Rosena. This was a big step with big feelings for everyone involved and we all looked ahead with excitement and some trepidation to see what moving on would look like. We’ve been lucky enough to keep Amy (who’s been a part of The Garden since it was just a glint in some idealistic eyes) as a vision holder, and she’s always on hand for us to bounce ideas off and to give us the benefit of her experience. Bon and Lucia joined The Garden in September as the new mentors, as did lots of new children. Together with the experienced community members we began the process of settling in and getting to know one another. Spending your days in a community is not always easy. Giving genuine time and space to everyone’s needs (including your own) equally can feel strange when you’re not used to it. It takes time for people to realise they don’t have to fight to be heard; or that there’s always a place for them; or that their feelings are valid and important - even when they’re not pretty. Its very comforting to know that, whatever your process is, its accepted. Day to day, the running of The Garden hasn’t changed too much. Each member is equal, with equal rights to, put forward ideas, be heard and make decisions. We start every day with a meeting to share our needs and feelings and do any planning for the day. Community members often use this as an opportunity to propose games or activities, locate any resources they need and check things like wood supplies. Our Autumn, especially in the run up to Christmas/Yule, was been quite focused on performing. Our stage (painted rainbow for the arts trail event) needed to be timetabled so that all the various performance groups had a chance to practice! The people who came to our end of year celebration got a tiny taste of what some of us have been working on. Dungeons and Dragons has also been a popular feature recently. You’d be amazed the different skills involved in creating a D&D character, let alone writing and running a campaign! Everyone involved has been tested to the limit, and we’ve learned a lot about resilience and the need to take breaks (and what ‘a break’ actually is). During our last meeting before the Christmas break we looked back over this last year with gratitude for what we have, what we’ve made and for one another. And we looked forward into 2019 with thoughtful optimism and hope for the seeds we’ve planted together. The Garden is a democratic community for children, in St Werburghs, Bristol. It's child-led, play-based and largely outdoors. Children at this alternative education project decide how they spend their time in a rich, inspiring and natural environment. They solve problems collaboratively in daily democratic meetings. Plans are progressing for new facilities to allow us to expand the number of places we can offer from September 2017 and following our successful trial places last summer we're happy to run a similar scheme this year. 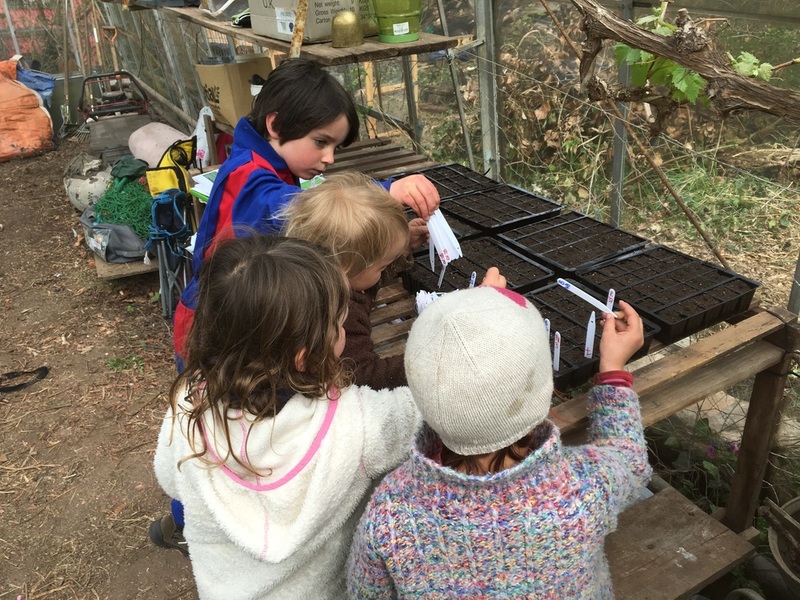 Places are available for children 8+ for one or two days a week (10am-3pm on Tuesdays, Wednesdays and Thursdays) for this Summer Season at The Garden, which is from 6th June until 13th July. These places are very limited and children who have reserved to join us in September will be prioritised. The Garden is launching a new rolling programme of interactive training workshops for people who are exploring or already involved in setting up and running similar projects, or those who are interested in our approach and would like to use elements of it at home or professionally. Please email thegardenbristol@gmail.com or visit our website for more information or to book. The Garden is looking to hire a part time early years professional to work within a small, supportive team, with a group of early years children (mostly aged 2-4 years), in a low child:adult ratio outdoor setting in St Werburghs, Bristol. The position is 12 hours per week (10 hours contact time) on Tuesdays and Wednesdays, with the potential for more work in the future and for wraparound care provision for the children at our setting. The level of pay is £10-15/hour dependent on experience and qualifications. Ideally we're looking for someone to start on or before 8th November. 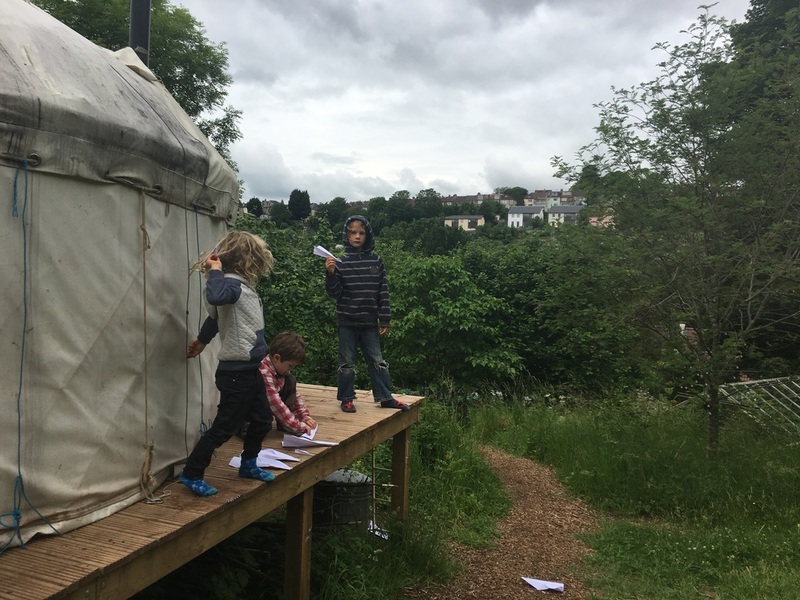 The Garden is an alternative education and childcare project that came from but is not exclusive to the home education community in Bristol. 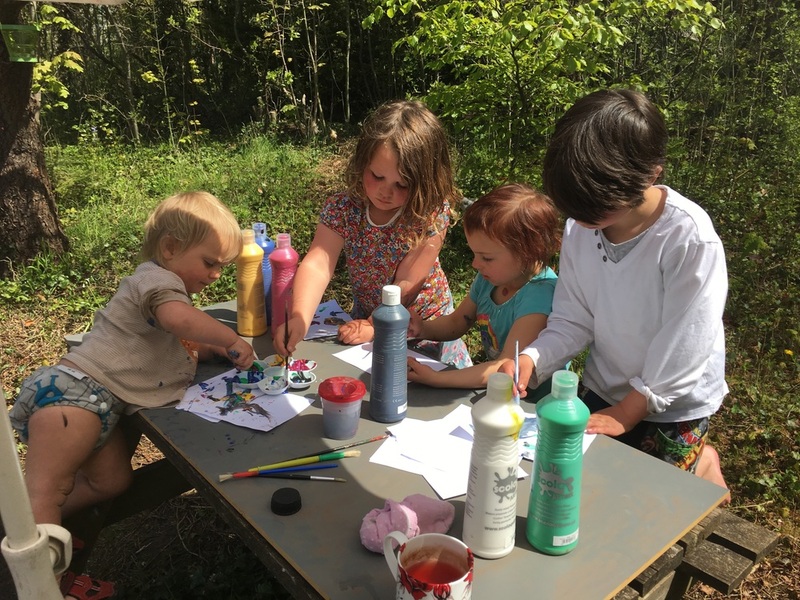 Our vision is for a self-directed, play-based space where children can decide how they spend their time and learn to build and maintain a community. Although there is a small indoor space, the setting is largely outdoors in an acre of privately owned woodland and meadow in the heart of St Werburghs. We are primarily looking for someone who understands our vision and who feels their values are at least compatible with ours. Relevant qualifications are helpful but not essential, though a commitment to professional development is expected. 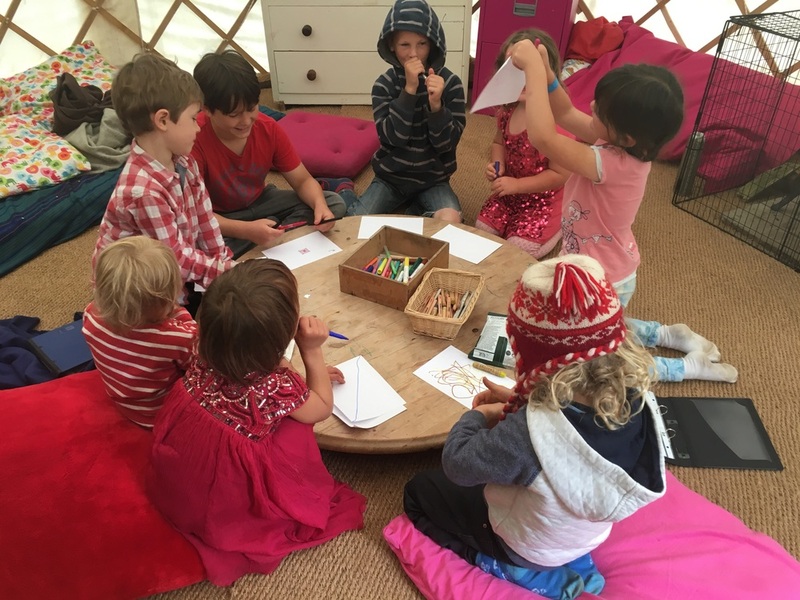 This is an especially exciting opportunity as we’re looking for someone to be involved with developing and shaping the early years element of project, as part of a network of similar settings and a growing worldwide movement of self-directed education and childcare. If you share our passion for creating a nurturing space where children’s rights are respected then please get in touch. To apply for the position or to find out more about the role or The Garden please email hello@thegardenbristol.org for an application form that should be submitted by midnight on 13th October 2016. 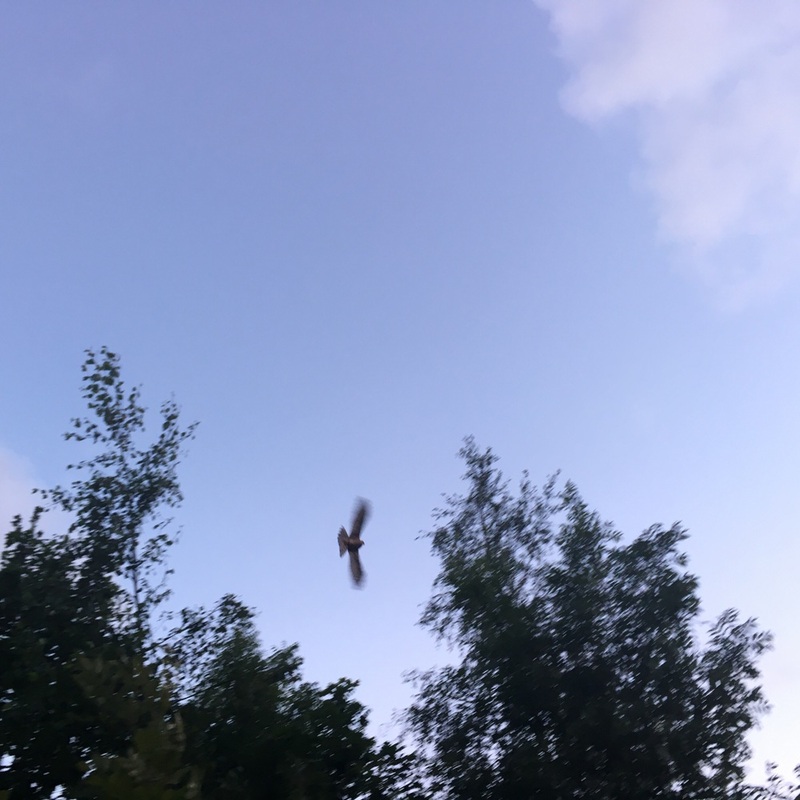 So thanks to Harry, a trustee of the Narroways nature reserve that The Garden borders, we now know that the birds we have been hearing are, in fact sparrowhawks! All day yesterday we were hearing two birds call to each other in a distinctively high pitched shriek. We puzzled over what they could be for much of the day and towards the end we caught a glimpse of a speckled tummy flying overhead. We're reasonably sure they were young buzzards, having listened to the audio on the RSPB website. Today we had one of those dreamy days where The Garden was everything I had hoped it would be. We started with a focused and productive democratic meeting, followed by some lovely journaling, paper aeroplane making and flying, Harry Potter reading, lunch sharing, trampoline bouncing, chess playing, imagination in the woods, tag in the rain, kindness and much laughter. That's not to say that there weren't any challenges. Our only adult-imposed rule of one person at a time on the trampoline is the only rule that we regularly struggle with, which is no coincidence, and today has seen several infractions. People have disagreed and become cross with each other but, as I so often am, I have been repeatedly blown away by the ability of such young minds to solve their problems and find collaborative solutions to conflict. Of course, days like this are not the only kind we have. We have other sorts where people get cross with each other and need more help to find a way forward that everyone is satisfied with. Sometimes meetings are chaotic, frustrating and frankly hard work for the chair. Sometimes the grown ups must be persistently involved in the minutae of the day. The challenge is to accept these days as having equal value to the dreamy ones, possibly more so. Today though, I'm quite glad it's been one of those dreamy, perfect days. We're pleased to announce our first ever open day at The Garden, 10am-3pm on Sunday 10th July. Curious families can meet The Gardeners, find out more about the project, eat lovely food and explore our beautiful site. We'll have storytelling, bicycle-powered smoothie making, an art workshop, cafe and a talk/Q&A by Emma and Jo about our approach and ethos. The entrance to The Garden for the open day will be between 200 Mina Road and the railway tunnel. The Garden is a democratic community for school-aged children, in St Werburghs, Bristol. It's child-led, play-based and largely outdoors. Children at this alternative education project decide how they spend their time in a rich, inspiring and natural environment. They solve problems collaboratively in daily democratic meetings. We are delighted to be able to offer trial places for one or two days a week for this summer season at The Garden. These places are very limited and children who have reserved to join us in September will be prioritised.